I am a huge dog crate/kennel and expen fan. I love them and think that they can keep many a family happy when used correctly. Is a crate cruel? Not in any way unless it is overused and/or abused. I have used a crate at night with all of my puppies and an exercise pen during the day. Because my puppies sleep in crates all night when they are young; I don’t like to put them back in the crate during the day for any amount of time. I have the luxury of having a couple of exercise pens so I use them and love them as well. Over the years I have met many people who are not fans of crates. The common response from them is that they don’t want to cage their dog; that they consider it to be cruel. Okay, I get that very human idea but setting puppies lose in your house is a recipe for disaster. Why? Because puppies get into everything, literally everything. Another very common reason for not using a crate or expen is the crying, whining and screaming. Yep, it can be pretty bad. In fact Elsa was one of the worst, she was great about going in and sleeping or resting but if she thought it was time to get out then she let us know very loudly. This went on for a good three months, yikes! But I stood strong and stuck to my guns with the crate and expen until she was old enough to be out for good. Why are crates a good idea? Crates or expens keep puppies safe when you cannot be around to supervise them. They also give us, the k9 guardian…freedom. Yes, freedom, it is a glorious thing. If you have to stay home with your puppy until they can be left alone safely, you are going to go stark raving mad. I love my freedom and being able to go out and enjoy myself for a couple of hours; knowing that my puppy is safe and sound at home is amazing. There is no way I could ever go out to run errands with any peace of mind if I didn’t know what my puppy was up to. I can’t even imagine what could happen. I have been called to many homes as a last resort. New guardians are tired of their home being destroyed and are contemplating getting rid of the dog just because of this. It is such an easy solution, containment. Dogs are den animals; puppies naturally like to sleep in small spaces. Small areas with a cover make them feel safe. Crates are just dens. Once they get accustom to them, they typically love their crate. I have perfected the overnight crate time. The crate goes beside my bed and if there is the smallest peep of concern from the puppy; I place my hand in through the bars of the crate. The puppy sniffs my fingers and is reassured that they are not alone. As far as the expen goes, that should be set up somewhere in the main living area. Mine is in the kitchen and folded down to about 3x5 and 48” high in dimension. Each time my puppy goes into the the pen I say “pen” and toss in some kibbles. There are special toes in the pen that stay in there; making it a special place to be. Neither the crate or expen are EVER used as a punishment area. Although if I need a break they are gently put in there for a short time. It is also used for quality nap time as most puppies will continue to follow you around and not nap long enough. So yes, I’m a huge containment fan. 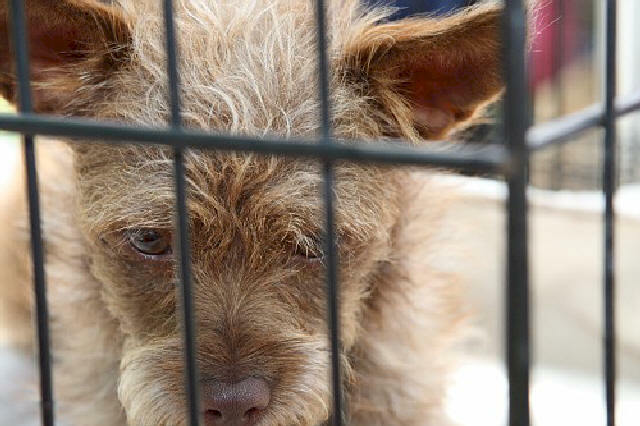 Crates and expens can save a puppies life and most definitely your home. Wouldn’t it be nice to come home to a safe and happy puppy instead of wondering what they’ve destroyed? Elsa’s pre-Christmas gift which is her absolute favorite and biggest stuffed toy so far. Are you shopping for your canine? A family member’s or friend’s canine? I’m done my canine Christmas shopping for the season. In fact the dogs were all done before one single human gift was purchased. Every canine member of our family is getting a new stuffed toy. Each toy is selected specifically for the individual dog. Size and texture are factored in when selection is done. It’s very scientific (just kidding). If you live in a climate where it gets chilly or downright cold; how about a nice warm or weather resistant coat? Elsa has a couple of warm coats but she is in need of a waterproof one. We deal mostly with rain although it does get pretty darned cold here in the morning. If I’m putting on gloves to keep my hands warm I think she might need a coat. She lets me know if she is feeling the cold by the amount of shaking she does. Not the trembling kind of shaking but the fluffing her coat up shaking. When our dogs shake their fill their fur with air which helps to keep them warm. How about some dog training? I have actually been given as a Christmas gift. That is my dog training package, my me personally. LOL ;) Imagine a frustrated guardian opening an envelope that says “help is on the way?” A gift for both the human and the dog which will help to grow their relationship through understanding…priceless. Another great gift idea for the dogs in your life are homemade cookies. Of course the healthier the better. How about a whole cookie club? You can give the gift of the cookie club to the canine guardian in your life which results in a lot of gifts for their dog. Healthy treats are a wonderful idea but make sure that the dog receiving the is use to getting different types of treats. We don’t want any upset tummies around the Holidays. Whatever you plan to gift the dogs in your life, think about the dog itself. Some gift ideas are geared solely around the guardian which I’m not a fan of. Something that both a dog and human can enjoy is the best. Of course when we give our dogs something that they enjoy, it brings us much joy; a win, win scenario. Elsa has a new collar and leash. How smashing does she look sporting this new beautiful and light weight collar/leash set? The collar leash set came from Poodleit and I love it. Not only is it visually gorgeous, it is light weight and reflective. It is a great width yet retains an extremely light feel in the hand. The first thing I noticed about this collar/leash set was the plastic collar clasp. Having recently been pinched by one of these type clasps, the difference was very obvious. The smoothness as I placed the collar on Elsa was unmistakable. Elsa and I head out to give the collar/leash set a try. One thing that I hadn't noticed until our walk was the reflective trademark on both the leash and collar. I love this, it was so visible that you could see that it would be a great safety measure during the evening or night talks. Elsa is shown sporting the collar and 6' leash but it also comes in a 4' length. I always prefer a 6' as it gives more flexibility in the distance that you can offer your dog. The leash is made from climbing spec nylon tubular webbing; so it is extremely strong. I love this pink color, so summery and visible. 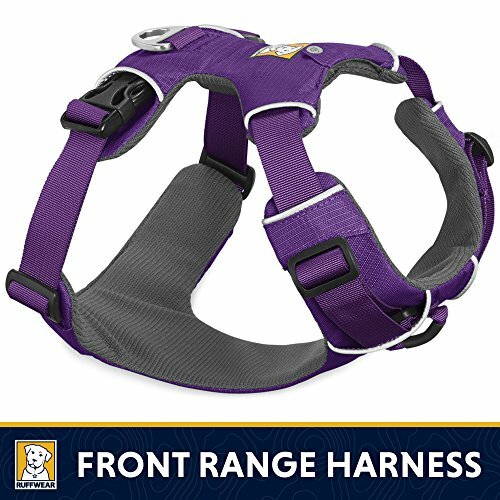 The collar/leash would be wonderful for any guardian who loves to walk their dog, no matter what breed or mix of breeds. The leash comes in red, purple, black, pink and blue. A wonderful variety of colors making it easy for everyone to get their favorite.